Every month we have a production meeting for the next month’s cakes. We meet with Ron. Who is the “We”? Jeffrey, our head chef; Jason our production manager; Ron, we all know who he is and myself, operations etc. During our production meeting we go over every aspect of our clients cakes with Ron – from flavor to décor to sugar flowers. We talk about everything. Once the meeting is over we all go our separate ways and figure out what needs to be done for the upcoming cakes. 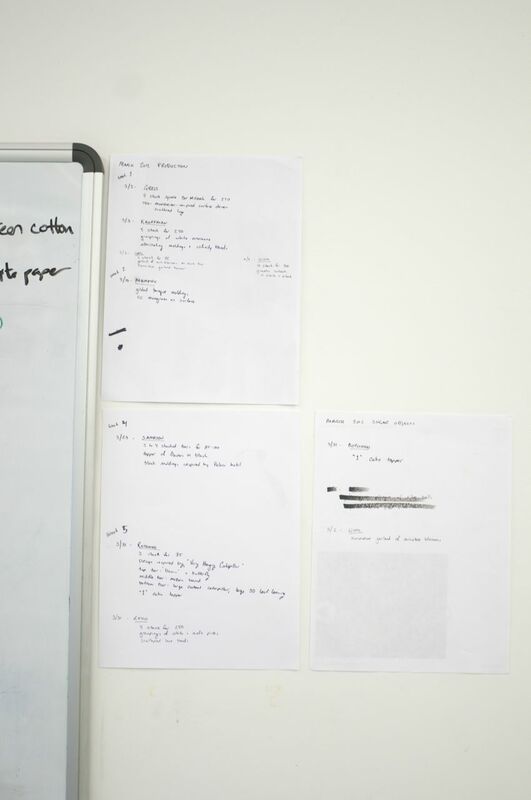 After the meeting, our production manager Jason reads through all of his packing slips (that’s what we call our orders) and he starts to write a list of all the sugar flowers that need to be made and keeps it on the wall in the production room. When the flowers are completed they are checked off the list. Jason also gives Ron his “Honey Do” list of Roses and other flowers that Ron makes to be completed. We do this a few months ahead because of Ron’s schedule. Jason's written list of all the sugar flowers that need to get done for the next 6 weeks. The one thing we can make way in advance are the sugar flowers. Once our clients approve their contracts, we can go into production. 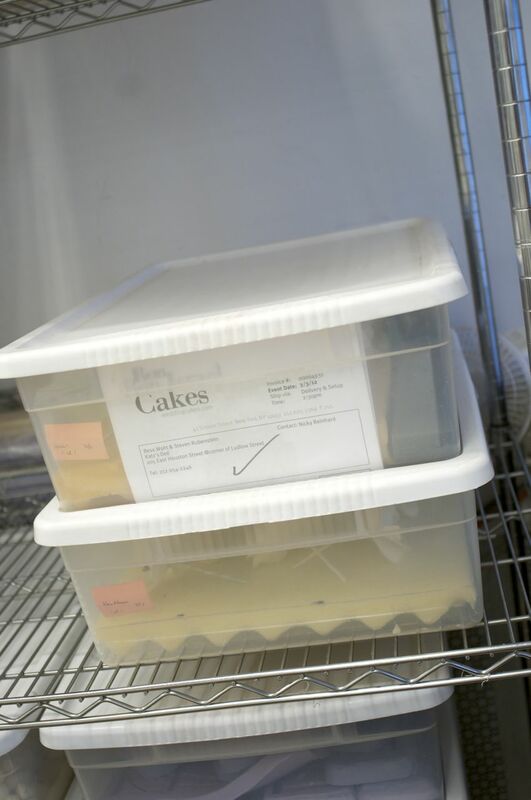 Two weeks before the cake needs to get done, Jason takes each packing slip and pulls the flowers out for the cake and puts them in a plastic box, the box is labeled and stacked on the shelf. Once the cake is fondanted and stacked from the kitchen, it’s passed on to the production room to start the decorating process. Depending on the design they have between 24-48 hours to complete each cake. The cake then gets boxed up and put in the refrigerator and awaits delivery. 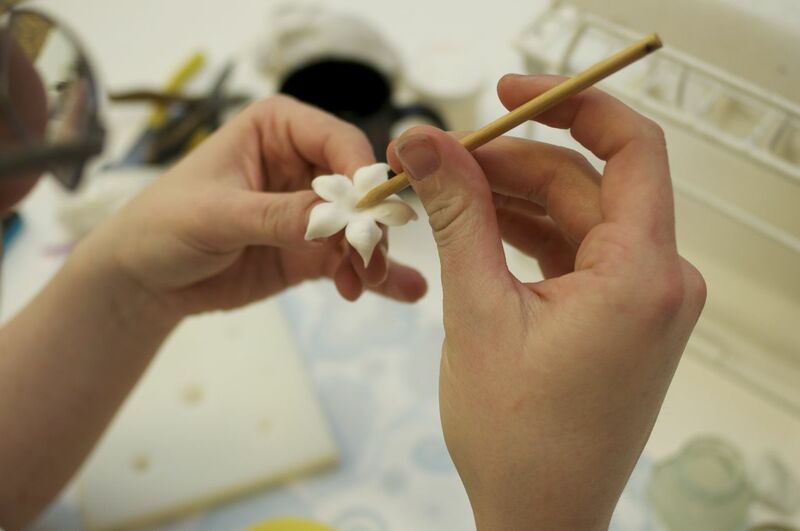 Once the flowers have been pulled for the order, they get boxed and put on the shelf and wait for the next step in the cake decorating process. Thanks for sharing this info! I love your blog (and love Ben too 🙂 and as a cake decorating enthusiast, I have learned so much from your blog.